It is a sweet, thirst-quenching and refreshing drink on a hot day. Thai iced milk tea, also known as cha yen, is making a splash in Singapore. Made from black tea infused with spices that can include star anise, cinnamon, cardamom and tamarind seeds, the aromatic beverage gets its sweetness from condensed milk and sugar. It is commonly finished with a swirl of evaporated milk and poured over a glass of ice. While it is a staple drink in Thai restaurants, there are also shops specialising in the spiced tea and putting their own spin on the drink. Cafe Pal in Middle Road sells the drink with additional toppings such as tapioca pearls, aloe vera or grass jelly, while Bonheur Patisserie in Pasarbella flavours macarons with it. Soi 55, a stall at Golden Shoe Food Centre, is selling Thai milk tea ice kacang at Kranji Countryside Farmers Market today. The item will be included in the menu if there is positive response from customers. Thai restaurant Haha Thai in Ngee Ann City has a Thai-ramisu (tiramisu with Thai milk tea instead of coffee) on its menu and is in the midst of perfecting a Thai tea lava cake. 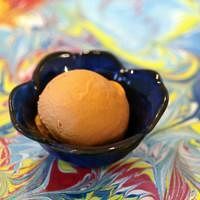 Many ice cream parlours such as Udders, Sunday Market and Creamier, sell Thai milk tea ice cream too. Business owners that SundayLife! speak to attribute the craze to Singaporeans who travel often to Thailand, where they develop a love for the drink. And they agree that the main difference between what is sold here and in Thailand is that versions here are less sweet, to cater to local palates. A fan of the drink, Ms Miza Nazili, 21, debuted drinks stall Iceburnz with her cousin Amirul Amsyar, 18, at a pasar malam in Woodlands recently. The stall specialises in Thai ice milk tea, along with other cold drinks. She says: "I love to travel to Thailand and I must have Thai iced tea when I'm there. A good one is hard to find in Singapore so we experimented many times before we were satisfied with the flavour." The stalls month-long run ended on Friday but it will be at the upcoming Ramadan Bazaar in Geylang Serai from June 18. They can sell up to 150 cups a day, so expect to queue during peak hours. The Udders chain of ice cream shops launched its Thai milk tea flavour because of a love for the drink. Ms Hannah Tan, 24, who develops new flavours for Udders, says: "I wanted to recreate the feeling of sipping on an ice-cold cup of Thai milk tea on a hot day. "To make the ice cream, we steep Thai tea leaves in hot milk - fresh, condensed and evaporated - to give the flavour real body." Bonheur Patisserie's owner Lin Weixian, 29, says his Thai milk tea macaron is the best of both worlds. He says: "We want to inject some Asian elements into a French macaron, especially when we are a home-grown brand. I love Thai cuisine and Thai iced tea is a must-have when I dine in a Thai restaurant. I decided to combine my favourite sweet beverage with the macaron." The macaron ($3.50) includes tea leaves in the shells as well as the ganache. The patisserie, which has been at Pasarbella since 2013, sells 150 pieces of it in a week. Another retailer who has noticed an increasing demand for Thai iced milk tea is the owner of Nam's Brewing Thai Tea, Mr Hoong Chee Hoe, 35. His shop at Far East Square imports the Number One Brand of Thai tea, also known as Cha Tra Mue. Since its opening in 2013, he has seen queues of up to 20 minutes at lunch time. A cup of Thai milk tea costs $2.80 and he sells at least 200 cups in a day. "Over the past two years, the market is constantly growing and we are seeing more Thai tea-related products coming up," he says. "People are also more willing to try other types of Thai drinks." Nam's also sells Thai milk green tea, which he says has started gaining ground among tea drinkers here. The shop also retails the tea in convenient tea bags ($6.90 for two packets of five tea bags each). Owl brand, best known for its instant coffee, also sells 3-in-1 instant Thai Iced Tea. It retails at $6.20 for a bag of 15 sachets in major supermarkets. Thailand-born restaurateur Pornsak Prajakwit, 33, uses his grandmother's recipe for the drink. It is the best-selling drink in all five of his restaurants. Tamarind seeds are brewed with the tea and coconut, condensed and evaporated milk add richness and depth. He says: "Tamarind is commonly used in Thai cooking, so instead of discarding the seeds, it is used in making the tea." On the tea's saccharine sweetness, he says: "If you rate sweetness out of 10, the ones in Thailand are 11 and those in Singapore are six. Thai iced milk tea is super sweet because it's more like a dessert drink." He has tried to introduce other Thai drinks to diners, but Thai milk tea remains the favourite. "I tried Thai roselle, Thai coffee, everyone still picks Thai iced tea," he adds with a laugh. Indeed, diners are lapping up the sugary drink. Civil servant Muhammad Khairi, 26, who went to Iceburnz six times during its run in Woodlands, says: "I like the Thai milk tea because it reminds me of what I drank in Thailand. It is not too sweet or too bland, it is just the way I like it. I'm following them to their next location." Housewife Carol Teo, 54, who goes to Bangkok for holidays once every few years, says: "I'm glad that the drink is more readily available as my family loves it. While my children like the macarons from Bonheur Patisserie, I still prefer the drink and would like to stock up on the bottled versions." What: This drinks stall may have ended its month-long run at the night market in Woodlands, but it will be setting up at the upcoming Ramadan Bazaar at Geylang Serai next month. 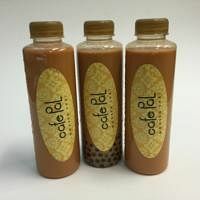 Don't miss the Thai iced tea ($2.50, right) as well as the equally popular coconut shake ($3.50). New additions include Nutella milkshake ($5) and salted caramel milkshake ($5). 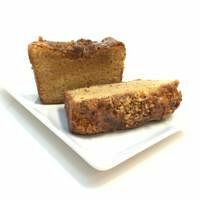 What: While getting your fix of artisan coffee, pair your cuppa with Dutch Colony's Thai milk tea loaf ($5, right). Good for those with a sweet tooth as it comes with condensed milk frosting. What: Launched last month in conjunction with Thailand's New Year and popular water festival Songkran, Udders' Thai Iced Tea ice cream is made by steeping Thai tea leaves in a mix of fresh, evaporated and condensed milk. The mixture is cooled before being churned into ice cream. What: Thai milk tea meets macaron at Bonheur Patisserie, which specialises in the dainty desserts. The flavour is infused into both the shell and the white chocolate ganache filling. 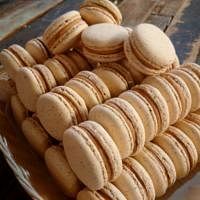 Each Thai Iced Tea macaron costs $3.50. What: Get your fix of Thai food at this casual eatery, and complete your meal with its Thai-style bubble tea options. These include cha yen and cha daam yen (black tea). Toppings include pearls, aloe vera and home-made grass jelly. The Thai Iced Tea costs $5 (dine-in) or $3 (take-away in a bottle), while toppings cost 50 cents each.